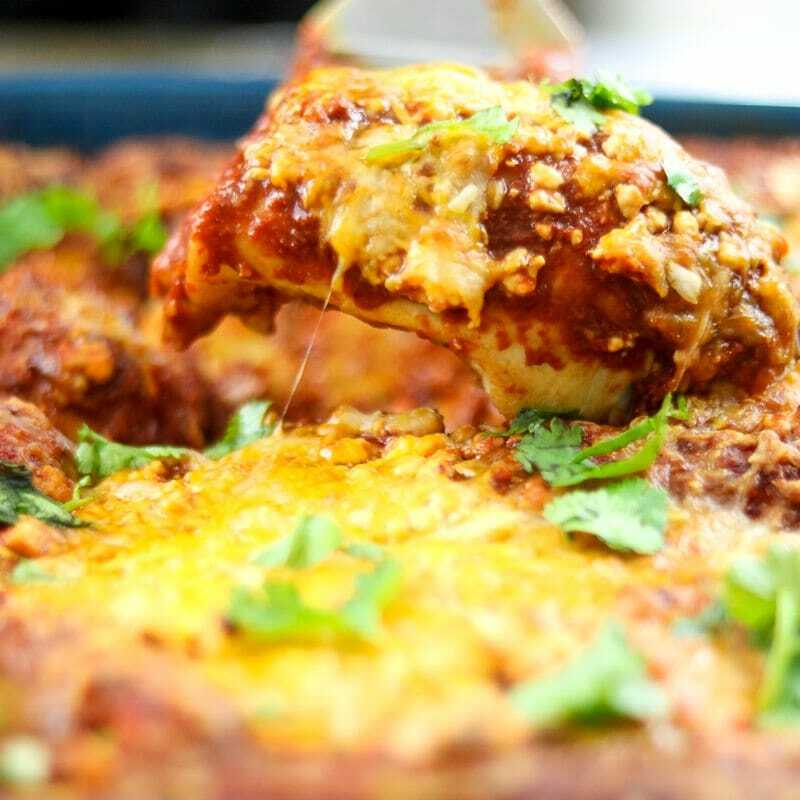 Chipotle Chicken Enchiladas: Tortillas that have been filled with moist, shredded chicken are submerged in rich Enchilada sauce and then smothered in cheese for an easy, family meal worthy of any Mexican Restaurant. Gluten-Free Option available. As you know, we are big fans of Mexican in this household. If you are not, please bear with the many Mexican recipes I share. But seriously, are you really enjoying life if you don’t love some form of a taco, burrito, enchilada, bean dip, or guacamole? I could live on Lentil Tacos and Mexican Lasagna or Southwestern Chicken Cobb Salad. 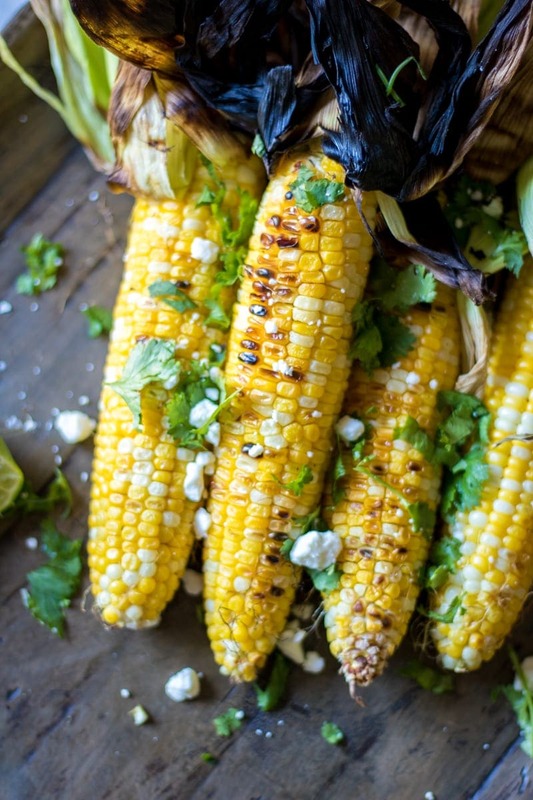 There is seriously something for everyone and every diet in the Mexican cuisine. I have had probably over 100 variations of enchiladas. No joke. These Homemade Chipotle Chicken Enchiladas rank as one of my all time favorites. 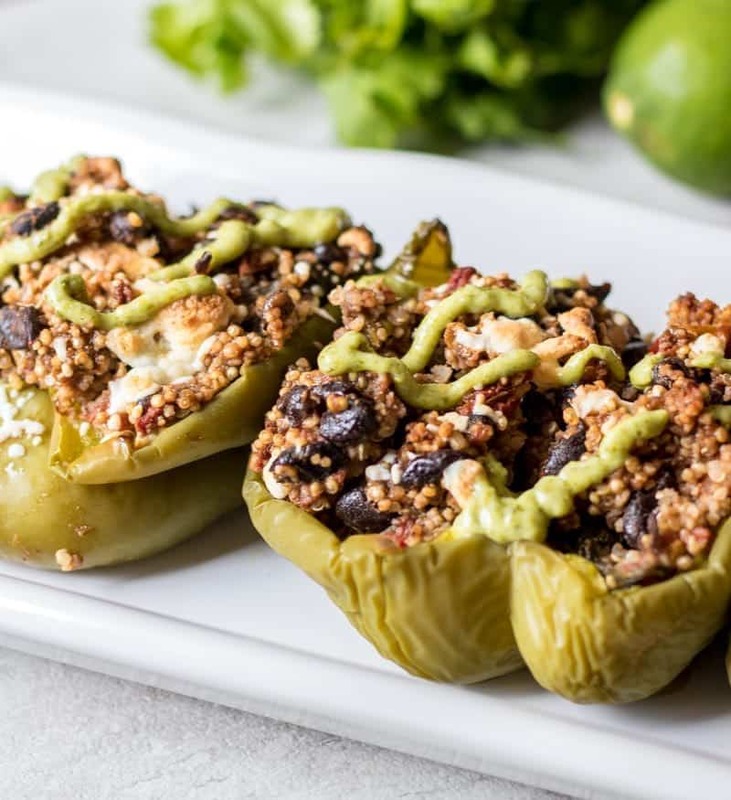 I think because they are easy, cheesy, and please the whole family with a little bit of smokey kick from the chipotle peppers. If you like Mexican and you like easy (seriously, if you don’t like easy–who are you?!!) these enchiladas are for you. It is a simple as simmering some chicken breasts with spices, chicken stock and chipotle in adobo sauce–or just using some leftover rotisserie chicken. Once the chicken is cooked, it falls apart in the broth. I mix in some Greek yogurt and stuff in my favorite tortilla. Sometimes I add black beans for extra protein or I don’t happen to have enough cooked chicken on hand. 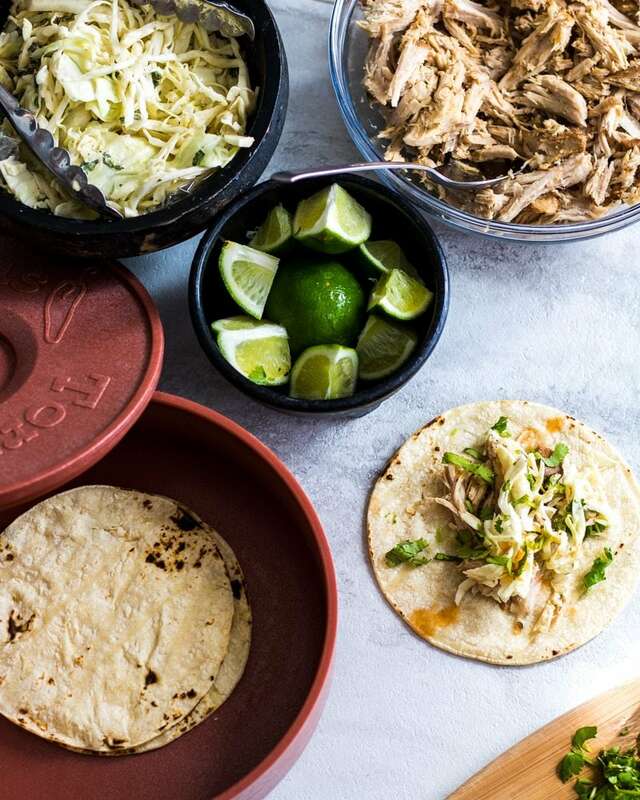 Mine happens to be fresh tortillas that I cook from the refrigerator section of my grocery store–they are made with just wheat flour, salt, water, and oil. But you can use corn, wheat, stuff the mixture in hollowed out zucchini–whatever is your jam. Then you just mix up some tomato sauce, a few spices, and chicken stock and you have instant Enchilada sauce (that is made with REAL food.) I smother in cheese–a mixture of Colby Jack and Queso Fresco, because that is how I roll–but again, do what YOU want. These are after all, YOUR dinner, not mine 🙂 Bake and serve. Whimps that can’t take the heat (AKA my husband) may require sour cream on the side. I prefer mine without. Enjoy. These will not disappoint. Tortillas that have been filled with moist, shredded chicken are submerged in rich Enchilada sauce and then smothered in cheese for an easy, family meal worthy of any Mexican Restaurant. Gluten-Free Option available. For the chicken: Place the chicken along with broth and seasonings into a heavy bottomed covered pan. Bring to a boil, reduce heat to low, cover and simmer for 20-25 minutes. Shred chicken with 2 forks after cooling slightly and mix into remaining liquid. Pour 1/2 cup enchilada sauce on bottom of 2 quart oven safe dish. Fill each tortilla with about 1/4 cup mixture of the chicken and juices. As you roll the tortillas, place seam side down in baking dish. Pour the remaining sauce over the enchiladas. Sprinkle cheese over the enchiladas. Note: Don’t waste your Chipolte Peppers in Adobo Sauce: Check out my tips on how to freeze them here! Thank you! I think they are quite tasty! I love enchiladas and the chipotle flavor is too good to resist! Perfect for dinner! I do love easy Kristen, and I do love Mexican!!! This is the absolutely perfect recipe for our family of hungry boys! We’ll all enjoy this dish. Love the addition of the chipotles and the great smoky flavor they provide! You know I am a big fan of Mexican food and love to cook with chipotle! Can’t wait to try this recipe! It is sure to be a winner with your family Michelle! I took some chicken out for dinner without a plan, just so happens that I have all the stuff to make this…I think it will be dinner tonight! Wahoo!!! Nothing makes me happy to give you inspiration to help you in this exact moment. Enjoy! This looks very delicious and easy to make. Thanks for sharing the recipe and I think I will give it a try. So easy!! I hope you do make them! 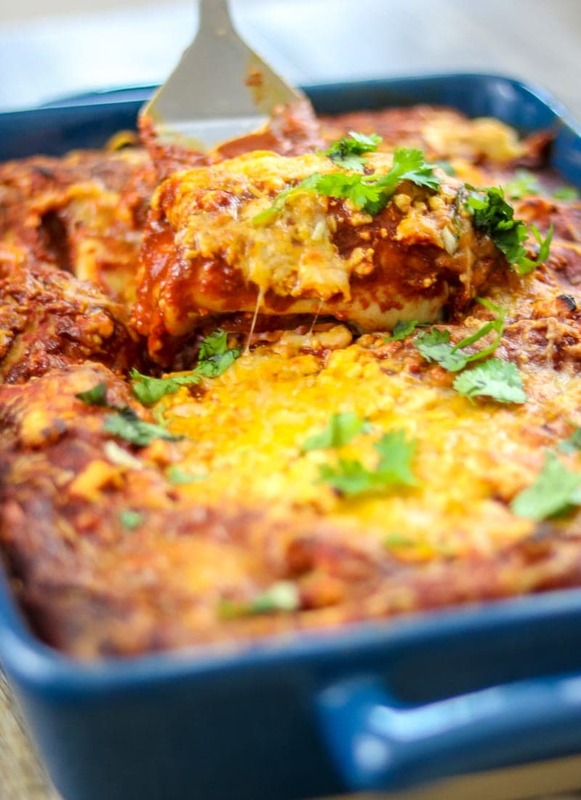 Love enchiladas and these homemade ones looks smashing delicious! Thanks Molly. Homemade is always best! These look so delicious! 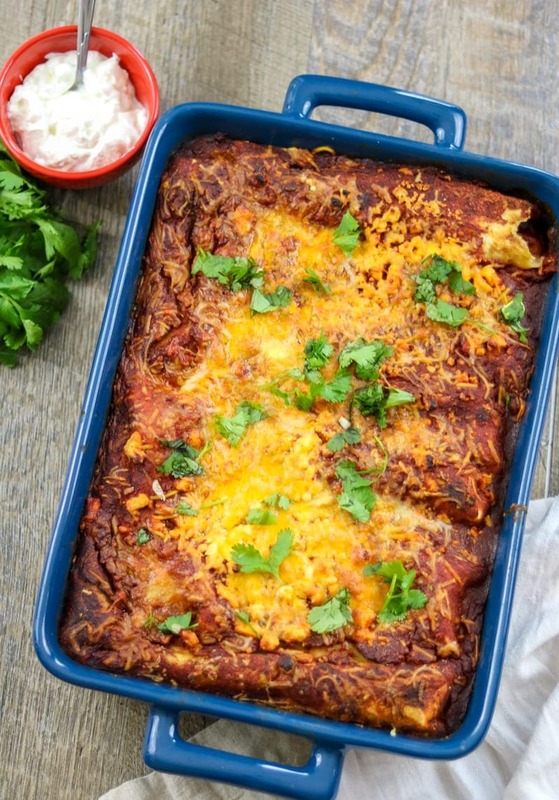 I love enchiladas, and these look so easy to make! So easy and so good–you can’t go wrong! These enchiladas look amazing! My husband is a huge fan of anything with chipotle so I’m sure he would love them! One thing I love about enchiladas is that you can totally double the batch and freeze on pan for another night.